From a cell, a man tells us he has planned the perfect bank robbery, he invites us to watch. An efficient gang enters a Manhattan bank, locks the doors, and takes hostages. They work deliberately, without haste. A snarky detective facing corruption charges is assigned to negotiate. The bank's president has something to protect in a safe deposit box, so he brings in a high-powered fixer. With an army of police surrounding the bank, the thief, the cop, and the plutocrat's fixer enter high-stakes negotiations. Why are the robbers asking for a plane - they know they won't get one? Why aren't they in more of a hurry? If the job's perfect, why is leader of the thieves in a cell? "Pay strict attention to what I say because I choose my words carefully and I never repeat myself." -Dalton Russell, 26 March 2006 Author: Vincent_Collateral from Ottawa, Canada Inside Man - My Quick TakeInside Man is intelligent, intriguing, and extremely entertaining. Spike Lee',s latest effort is an amazing heist thriller that will keep your attention for the whole film. It',s funny, it',s clever, and it',s unpredictable. Lee',s stylish direction perfectly fits Gewirtz', dazzling screen writing debut.The cast is led by Lee',s perfect direction, as Denzel Washington and Jodie Foster both give top notch performances. Washington gives an unclich�d treatment to his hostage negotiator role, as he',s simply as cool as ever. With Foster, we',re never certain of her exact occupation, more than ever adding to the enigma of her character and performance.Clive Owen is slick and darkly intelligent as the film',s mastermind. His every move is smooth, clever, and down right innovative to the genre. Christopher Plummer and William Dafoe give hearty supporting performances as well and Chiwetel Ejiofor is simply a treat to watch as Washington',s partner.With technical aspects, the film',s editing style is creative and its cinematography is surprisingly dazzling with its execution. Both keep you in the dark atmosphere of the robbery and investigation at hand. The music is always fitting, as it always perfectly sets the tone of each scene. In addition, with Spike Lee',s style comes messages he always seems to like slipping into his films. Two examples here are quick takes on racism and violence in video games.Inside Man is guaranteed to entertain. It',s a perfect film with all questions answered and no plot holes found by its end. Gewirtz', heist screenplay is perfectly and beautifully brought to the screen. It',s a career high for both Washington and Lee. 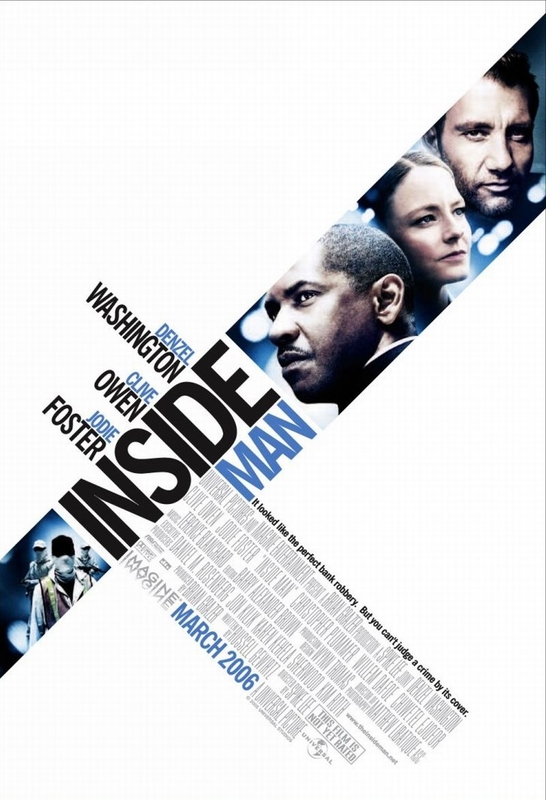 Inside Man is a must see and is the one of the best films of the year thus far.My Rating: 10/10Eliason A.